It's that time of year again that the masses flood into California's Great America so we can face our nightmares. Halloween Haunt is reportedly the busiest time of year for CGA and has brought some of the highest attendance rates right behind Knott's Berry Farm's Scary Farm event. We at Thrills by the Bay would like everyone to have the "good kind of nightmares" at Haunt and be able to get the most out of their night, and not leave with the "bad nightmares" of feeling like they didn't get to do much at all. With some nights nearly reaching park capacity, Haunt can be a tricky time to work with. 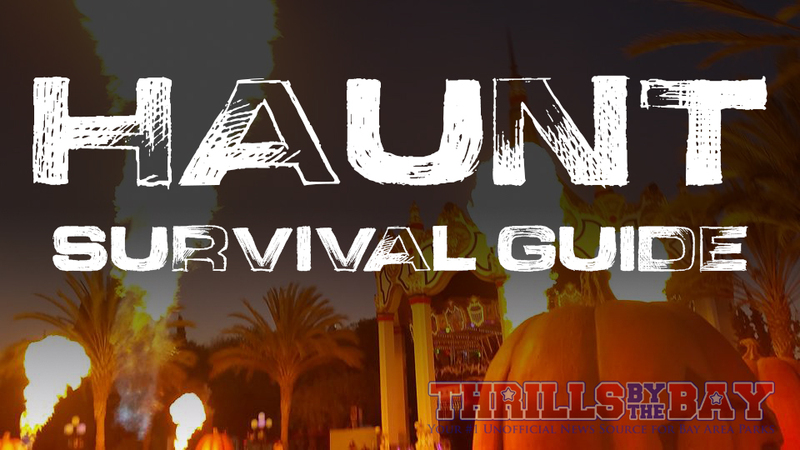 We've developed a survival guide to help you get the most out of your visit even on the busiest nights. The first thing to do when planning your Haunt visit is to try and find a date that will have lower attendance. In general, visiting in the first half of the Haunt season will guarantee lower crowds. The closer it gets to Halloween, the more packed the park gets. Saturdays are by far the most busy night, so avoid them if you can. Fridays can be manageable if you visit earlier in the season, but as it gets closer to Halloween, Fridays can feel a whole lot like Saturdays. If you can, we highly recommend trying a Sunday night. Sunday haunts historically have lower attendance because most people have work or school the next morning. If you visit on a Sunday you should be able to make it into most, if not all, mazes with manageable lines. Check the CGA website for Haunt dates and hours to find the date that works best for you. Don’t find yourself trapped in a huge line at the park box office! You want to get into the park as quick as possible and having your ticket in hand before you arrive is very important. Gold and Platinum Pass holders need not worry about this as their passes have Haunt covered. 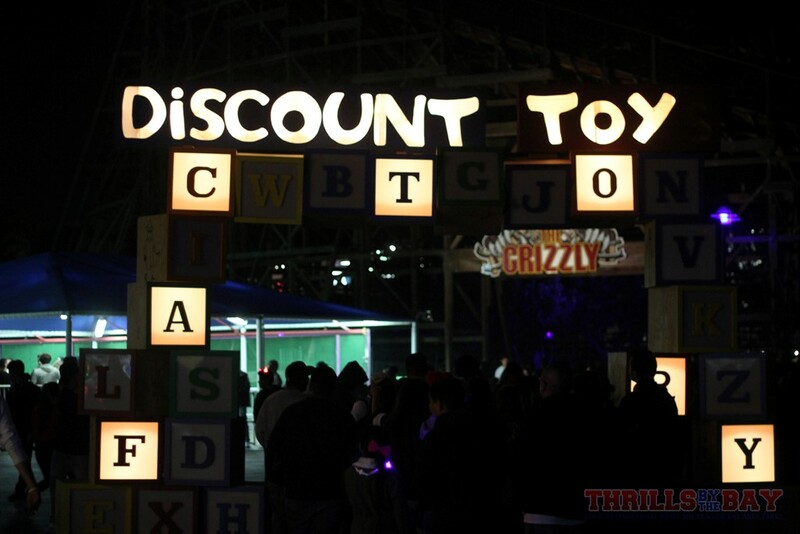 The CGA website offers discounts for buying in advance as well as discounts for Season Pass holders. If you have a Costco membership, check out your local store as they have sold discount Haunt tickets in the past. Bottom line, advance purchase is the quickest way to get in the park. Our biggest suggestion for you is to plan for early arrival, no matter what date you visit. Depending on the day of the week you visit, the earlier the better. We cannot stress this enough! Try to arrive at least 15-30 minutes before Haunt begins. This allows for time to find parking, get through security and arrive at the front gate. This was the line beginning to form at 5:30pm on a Saturday - second weekend into Haunt. Plan to arrive at least 30-45 minutes before Haunt begins. Arrive any later and you may find a huge line of cars waiting to get into the parking lot. Give yourself extra time so you can beat the crowds. It is absolutely essential that you give yourself plenty of time for arrival on a Saturday, especially in the weeks approaching Halloween. Trying to get into Haunt on Saturdays can be an absolute nightmare if you don’t arrive early. The line to get into the parking lot overflows onto Great America Parkway in both directions, creates a near gridlock on the city streets surrounding the park, and even causes a huge backup on Highways 101 and 237. We have heard some reports of guests waiting 2-3 hours just to get into the parking lot, at which point it’s not even worth visiting anymore. Don’t let this happen to you! Plan to arrive at least an hour before Haunt begins. It may sound excessively early, but believe us when we say it’s necessary. We have lovingly adopted a phrase that is used by Six Flags to describe their Fright Fest event, and have given it our own spin to help you get the most out of your day! On most Saturdays and Sundays in October (with some Sundays being excepted when there are 49ers home games), CGA is open from 10 AM to 5:30 PM for regular daytime operation. There is plenty of family friendly activities such as the Great Pumpkin Fest in Planet Snoopy and you can enjoy the park’s festive Halloween decorations in the daytime. You will also enjoy much shorter ride lines during daytime ops (We walked right onto Gold Striker throughout most of the day Saturday). On the busiest nights of Haunt you will find that popular attractions such as Flight Deck and Gold Striker will have upwards of 90 minute waits. If you get trapped in one of those lines, then you will have much less time to enjoy the mazes, scare zones, and shows that are ONLY available during Haunt. Come to the park to enjoy Thrills By Day, and once the sun goes down, focus on getting Haunt attractions done so you can have Fright By Night. If you choose to visit the park in the daytime, one thing to keep in mind is that the park will be closed from 5:30-7 PM as they change over from daytime ops into Haunt mode. If you plan to wait around for the park to open, bring some entertainment with you such as a book or a music player. There are also a couple places to eat within driving distance such as a Carl’s Jr. across Tasman past Levi’s Stadium and a Taco Bell/Togo’s on Great America Parkway. Just remember to keep your parking receipt from earlier so you may re-enter the parking lot. If you choose to not lose your parking spot and are up for a little hike, Carl's Jr is about a 15 minute walk from the parking lot. If it’s a Saturday, remember to give yourself plenty of extra time to get back in the parking lot before Haunt begins. 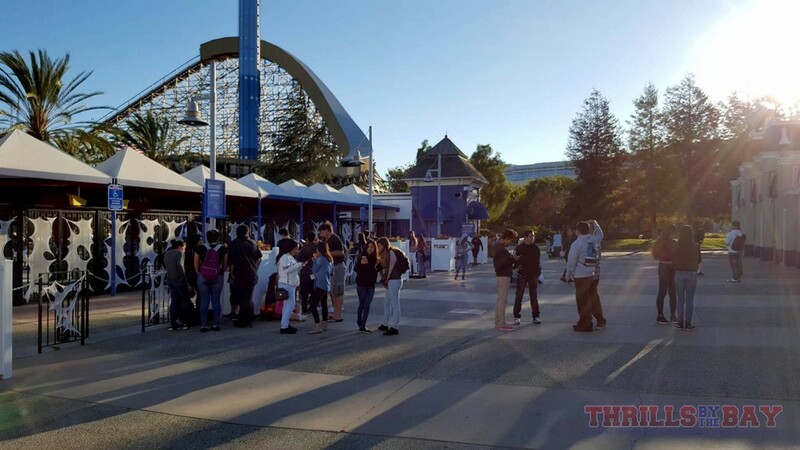 Starting this weekend Great America will be opening up it's "Boofet" dinner that, for a small fee of $15, will let you enjoy an all-you-can-eat meal during this time. One of the perks of this is that you can actually avoid the front gate crowds and enter through the new Great America Pavilion entrance by Flight Deck. When the rope drops, you can jam to the back of the park to hit Zombie High, or even start with Wax Museum as you could potentially be one of the first people to get in as its along the way. Finally, remember that daytime operation and Haunt are separately ticketed events. If you visit the park on a regular daytime ticket, you can visit the box office to upgrade that same day ticket for Haunt admission that night. If you want to spend less time waiting in line, then CGA has options for you to skip the maze lines if you can afford to splurge. These two options are Fright Lane and Fright Lane Plus. 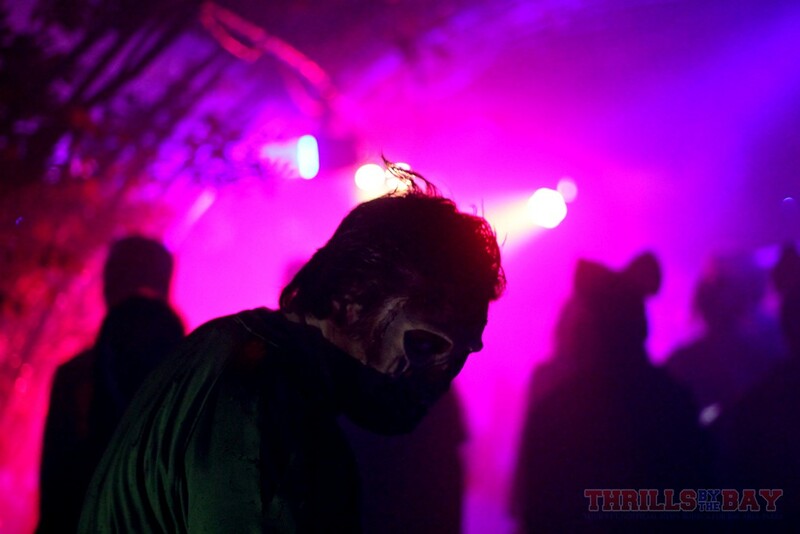 Fright Lane will allow you to skip the line one time at each maze. 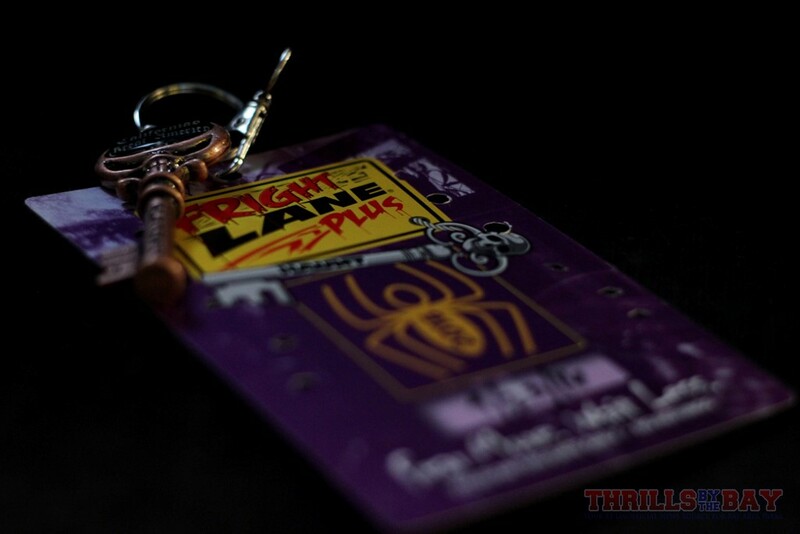 Fright Lane Plus gives your front of the line maze access and adds on Skeleton Key, which is the park’s selection of “secret rooms” that have been hidden throughout various small buildings throughout the park. Skeleton Key is only available with purchase of Fright Lane Plus, and we recommend starting your night by enjoying the Skeleton Key rooms as you will still have to wait in line with the other Fright Lane Plus users. As the Skeleton Key rooms operate similar to a ride cycle and each interactive experience lasts about 5 minutes, you could be waiting a few cycles. Typically each Skeleton Key room can take a group of 6. So far, the average wait time for each Skeleton Key room has been 0-15 minutes. It could increase for these last few weekends. Fright Lane afterwards will be a breeze and we found that access to the maze has been from instantaneous to waiting several minutes depending on how many groups are ahead. We had both Skeleton Key rooms and Mazes completed by 10:30pm on a busy Saturday. Fright Lane and Fright Lane Plus prices vary depending on the night you go and are fairly expensive, but if you go on a Saturday night it’s well worth it. This is a tip that has slowly gotten more well known and is even suggested by The Witch in her opening ceremony each night. When Haunt first opens for the night, most guests flock to the “Headliners” first. Headliners are the mazes and attractions located nearest to the park entrance such as Dia De Los Muertos, Gold Striker, and Roadkill Roadhouse. Don’t follow the crowd! Instead, make your way all the way to the back of the park and begin with Zombie High. You’ll find that crowds take some time to arrive at these attractions so take advantage of their short lines while you can. 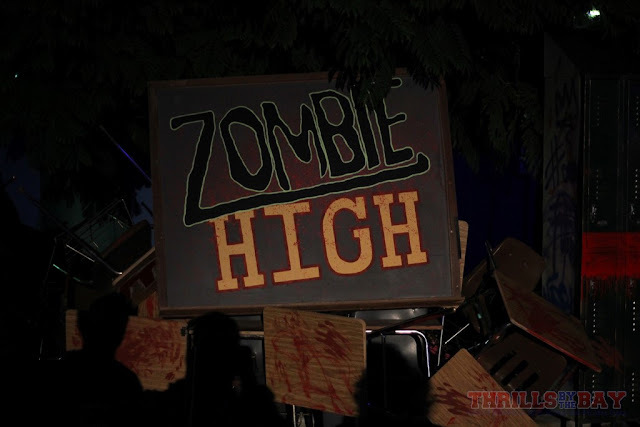 The exit of Zombie High will leave you conveniently near the entrance of Cornstalkers. If it’s still light out, you may choose to do Toy Factory instead as Cornstalkers is an outdoor maze and you may want to wait until it’s dark out. Finally, we recommend taking a bit of a walk to make Wax Museum Chamber of Horrors your next stop, which may still have a reasonable queue depending on the crowds. Ringmaster's Sideshow is a high energy show bringing life to the Killer Clown Town area. 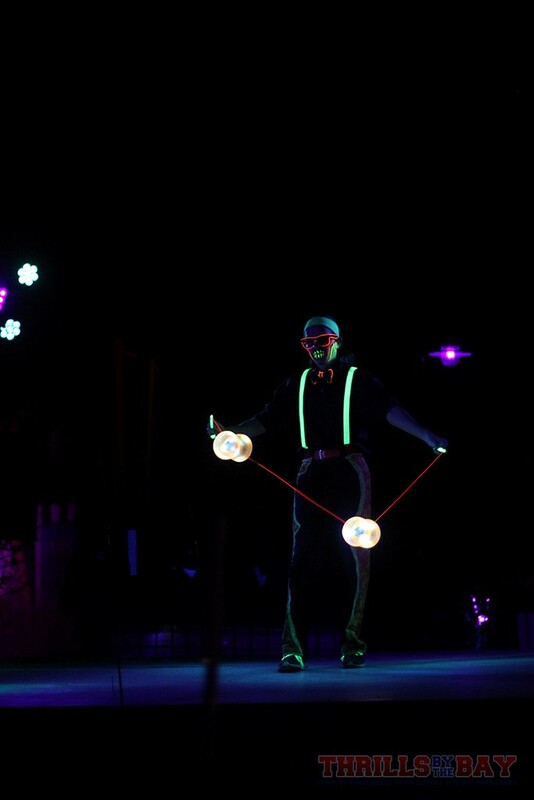 This show features different circus-type acts including this diabolo/Chinese yo-yo routine. On the busiest nights of Haunt, you will find that by about 8 PM, the crowds will have spread throughout the entire park. At this point you must make a choice as to whether you want to continue braving the long maze lines or if you’d rather enjoy other activities. If you follow our suggestion from earlier, then the remaining mazes are Madame Marie’s Massacre Manor, Dia De Los Muertos, Roadkill Roadhouse and Insanatarium Dead and Breakfast. It is possible to get all these done, but prepare to spend a lot of time in line. Remember that Haunt also has a good selection of live entertainment! If you find that the lines are too long for you to handle, then take some time to enjoy some of the great shows such as Blood Drums, Nytewalkers, and Academy of Villains. If you are visiting on a Friday or Saturday closer to Halloween, Haunt will stay open until 1 AM to give you extra time to see more mazes. On these nights the lines will start winding down around midnight but the price to pay is you may find less scare talent inside the mazes, and the actors may be tired or less energetic as they have been scaring all night. Also, due to local sound ordinance, all rides must be shut down by midnight. This means that park employees may cut off the lines to rides such as Gold Striker and Demon as early as 11 or even 10 PM. If you choose to enjoy these attractions at night then keep that in mind. Crowds begin to spill out of Toy Factory's entrance. The lines will get longer from here. Haunt is not for the Younger SetWe strongly urge to leave the younger set at home with a non park-going family member or a sitter. Haunt is designed with an adult audience in mind and may not be appropriate for the younger set, much like watching an R-rated movie is not for the younger set. We've seen numerous complaints in the past from park guests at how their child was terrified. The monsters at Haunt are there to do their job, to scare park goers. Even if the monsters running around aren't directly interacting with the younger ones, the visuals could still frighten them. It's best to save the headache and leave it as an "adult's night out" at the park. 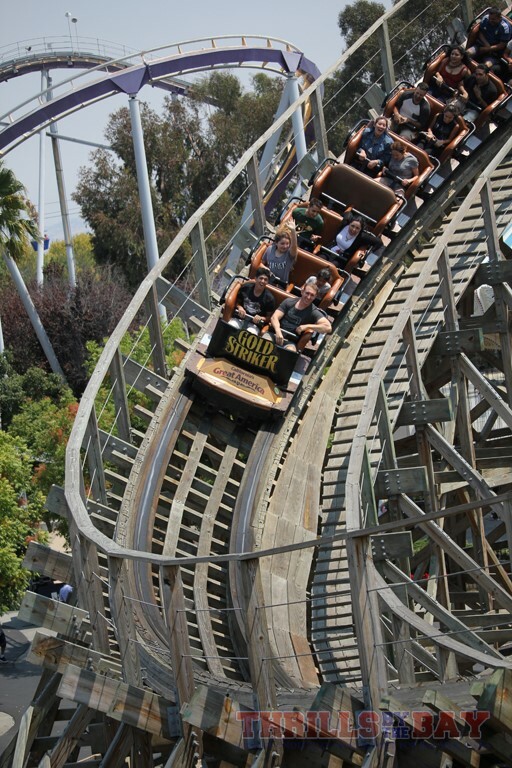 To sum everything up, Halloween Haunt at California’s Great America is truly a fun and exciting event to visit! It is possible to have a great time even on the most crowded nights as long as you mentally prepare yourself for large crowds and all that comes with that. If you follow our suggestions, have a game plan, and strategize, then you will be able to enjoy more attractions and get the most out of your night. Now get out there and get scared! Sunday: Arrive 15-30 min before Haunt begins. Friday: Arrive 30-45 min before Haunt begins. Saturday: Arrive at least 1 hour before Haunt begins.